stylos: Should Ivanhoe (or Owen) be abridged? 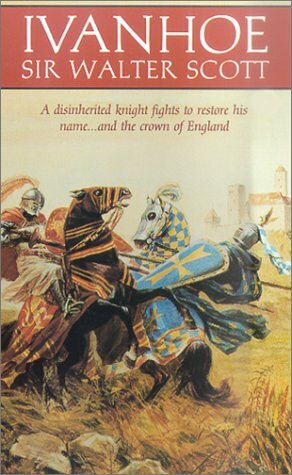 I heard a story on the radio this morning about how a Scottish academic named David Purdie is publishing an abridged version of Sir Walter Scott’s classic Ivanhoe (you can read a print version of the story here). Purdie, who is Chairman of the Walter Scott Society, spent the past 18 months cutting the original 179,000 words down to a mere 80,000. The story noted that he has faced backlash from some Scott purists who did not want to see the original text tampered with. The story reminded me of a chapter I recently glanced through by Jim Renihan in Biblical Shepherding of God’s Sheep (Day One, 2010) in which he quotes an extended section from John Owen’s Exposition of Hebrews which he slightly edited. In the footnotes, Renihan writes: “It has been difficult to know how to present this material from Owen in a modern format. I considered trying to modernize the language, but after careful thought, this did not seem to be a good idea. In my own study, I am convinced that an author’s words are really the best in order to gain a sense of his expression. This may sometimes require a bit of work on the reader’s part” (p. 227). That last line seems a bit of an understatement when it comes to reading someone like Owen whose prose is notoriously dense and labyrinthine. Though I have a great deal of sympathy for the purists in this discussion, I also know how I have been helped by the Banner modernization and abridgements by R. J. K. Law and Richard Rushing of some of John Owen's works. Owen is sometimes so complex in the original that it takes what is in effect a “translation” to make it comprehensible. Maybe the thing is that each format is appropriate for different tasks. If you want to read and study at an in-depth level you have to deal with the unabridged work. If you want to read at a quicker pace or you want a guide in getting to the meat of what the original author wrote, then the abridgement can be helpful. Reading it might even in the end take you back to the original.